Use the correct tools – especially screwdrivers. Damage can result from using screwdrivers that are too big and when terminals are over tightened. Use the correct stranded cable for low voltage wiring. Typically 0.4-0.5 square-mm security cable. Strip the correct length and twist the strands before inserting wires into terminals. 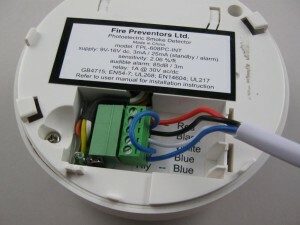 The 12v smoke detectors supplied are installed in the areas to be protected. 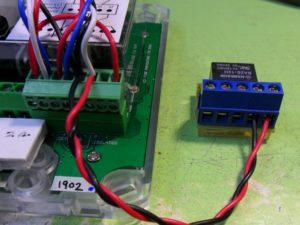 The smoke detectors are wired back to The Fire Denyer Controller using 4-core 0.5mm security cable. A 4.7k End-of-Line Resistor is installed at the last smoke detector only. 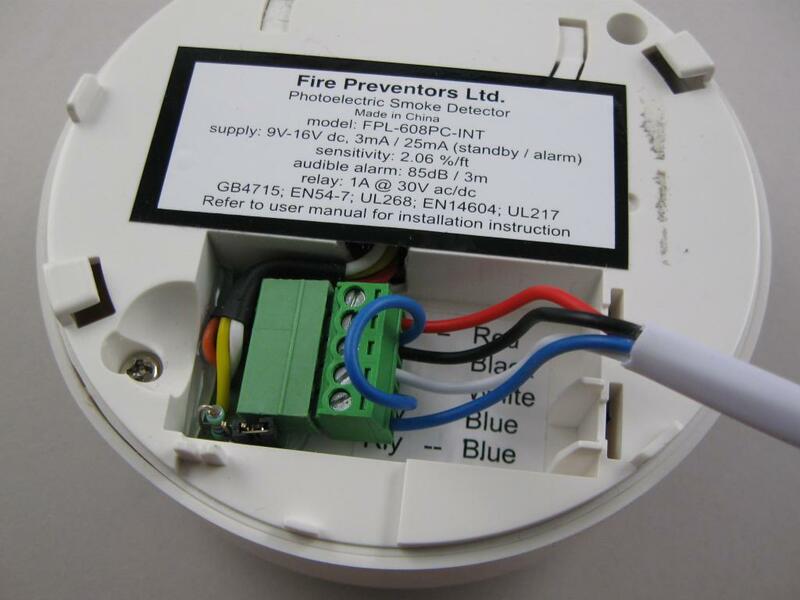 Smoke detectors are wired as shown in the wiring diagram. The white-core links the smoke detectors and allows the Fire Denyer Controller to control the audible alarms in the smoke detectors. The blue-core is the smoke detector trigger circuit back to the Fire Denyer Controller. The image shows the last detector in the circuit with the jumper removed and the blue link wire installed. The door bell switch is wired from any Flashing Alerter using twin Trurip 0.5mm cable. 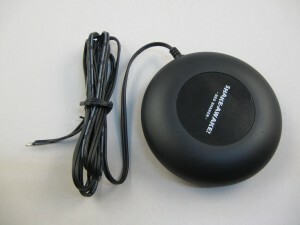 If a sounder is fitted for the door ‘bell’, it is powered from a Flashing Alerter. 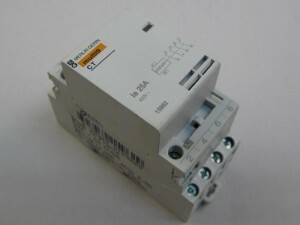 A small (low current) relay can be connected as shown in the image to provide a clean-contact output for connection to monitoring or another alarm system. The relay -ve is connected to -ve (terminal 5 from the left) and the relay +ve to the output (terminal 6 from the left). 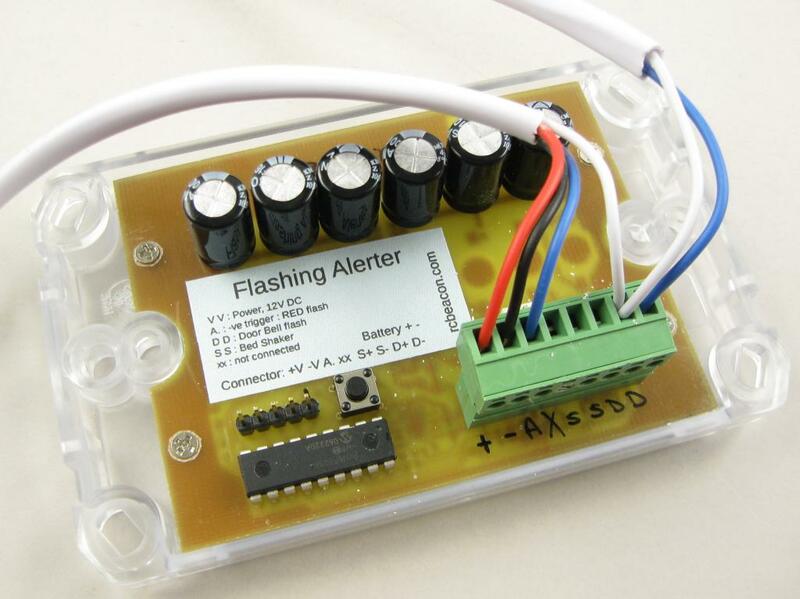 When alarm activated, the controller switches +ve (nominal 12V) to the relay. Note: the output (terminal 6 from the left) also connects to the smoke detector interconnect wire, which triggers the smoke alarms on test or activation. 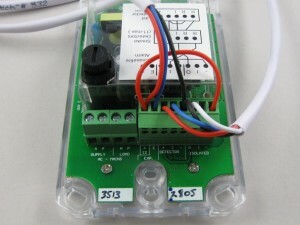 The relay shown is a low current 12V relay providing a SPDT changeover contact. This relay includes a LED indication and draws approximately 15mA when activated.